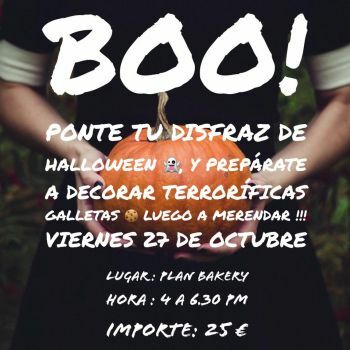 Plan Bakery Vegan Cafe of Candelaria. 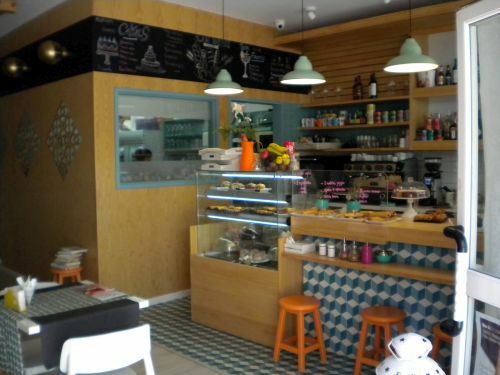 Plan Bakery is a little jam of an eating place down south a short drive from Santa Cruz de Tenerife capital. 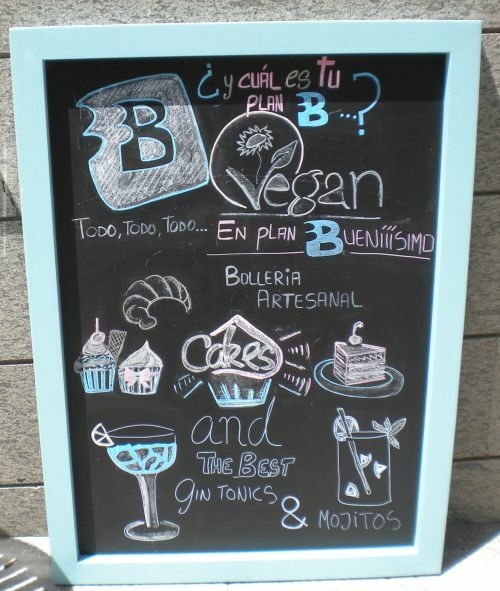 Plan Bakery Tenerife Vegan cafe in Candelaria for eating out. 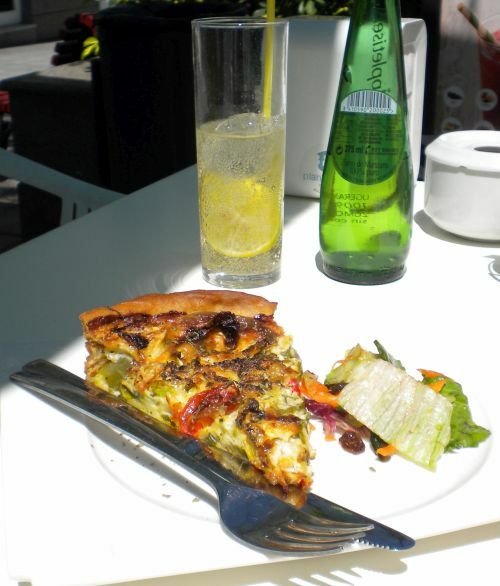 It's in the sunny and quiet pedestrian street Calle Alcalde Juan Castellano 23 of 38430 Candelaria close to the ocean. Business hours from 9h00 to 20h30. Live street music entertainment is possible. In fact, a soft light that filtered through trees full of paper gift parcels attracted us. Tables and chairs underneath hinted at eating places. My daughter and I were a little hungry. Water for dog Jesse at the Vegan Cafe. But first of all, the attentive waitress brought water for Jesse our dog. By the way, you can also order food to take away at this bakery eating place, such as a Vegan chocolate cake for a birthday. 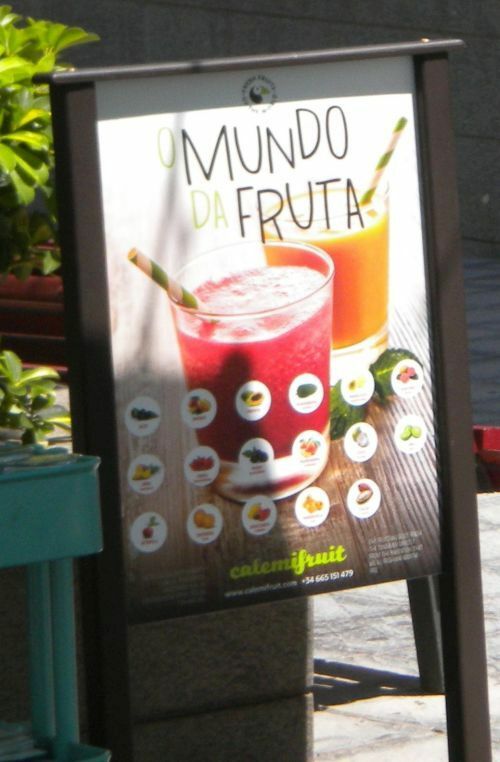 Gay Vegan board with advertisement. 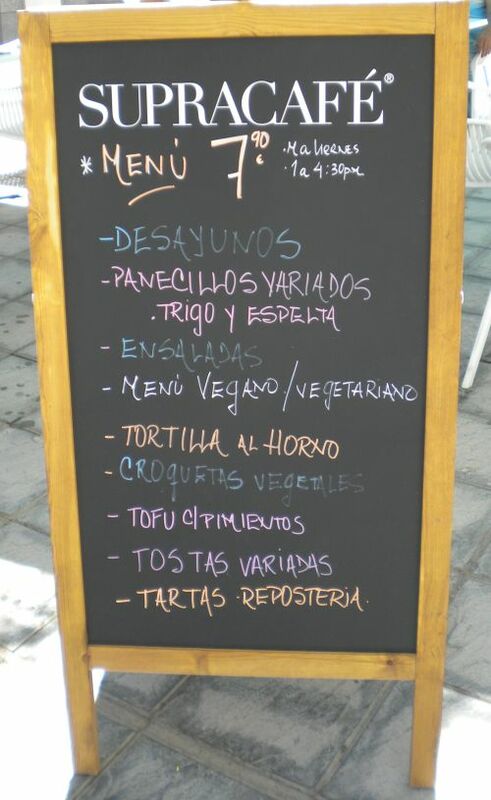 Low cost Vegan Menu display. Diverse organic fruit juice and other drinks were on offer. it was a nice selection to drench the thirst with extra vitamin C.
We both had a vegetable quiche whose contents I forgot. We also had some mixed salads. I remember that everything tasted very good to my great surprise. Why? Vegan food was pretty alien to me. Hence, we shall return to eat in this small establishment near the town hall again. We also savored a delicious rice dessert. It also came recommended by the waitress. Good Supracafe coffee rounded off our unusual lunch which could also have been called a brunch. Pretty Vegan Cafe counter inside. Inside, Admire this Candelaria street cafe counter where you find no prepared food where animal, fish, game or poultry were used. Hence, not even eggs or any dairy products, such as milk or cream. Of course, there are also tables who invite to take a seat. Invited are girls dressed in Halloween outfits to help to decorate cookies to be eaten afterwards. When? Friday October 27 from 4p.m.-6.30p.m. Plaza de la Patrona Patron of Candelaria, Tenerife and the Canary Islands. Interesting shops with souvenirs related to the Madonna. 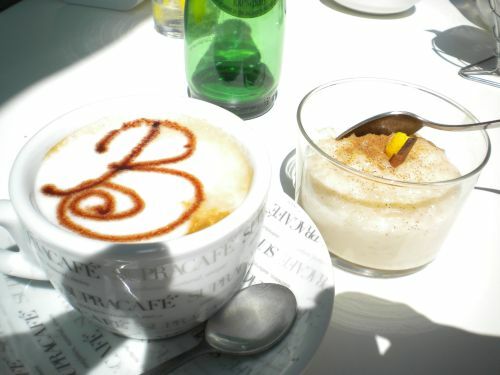 From Plan Bakery back to Cafes in Tenerife. 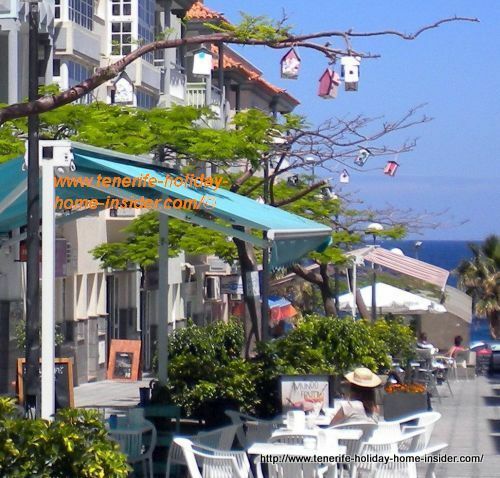 Explore Candelaria the Tenerife Basilica town of the Vegan Cafe, see its life size Guanche statues and trace the link about a miracle of XIV that happened in many locations of the world at that time.